Stuck for a unique gift idea? Our gift vouchers have something to suit everyone, choose from one of our glorious river trips or a day boat hire from Broads Tours. We run a daily timetable of river trips from 1st April until the end of October and during the summer months we also host Evening Music Cruises. 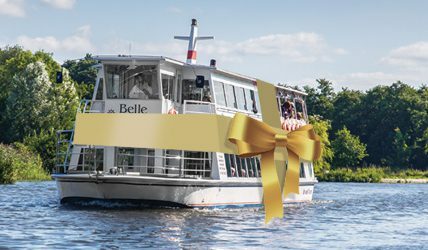 Why not buy a unique gift voucher for one of these special river trips or cruises and really give someone a surprise gift that will give them lasting memories. For further information on the river trips we offer visit our river trips page. What gift do you get for the independent explorer type? Broads Tours operate a fleet of day boats and day cruisers available by the hour up to a full day and we offer gift vouchers to cover all available time periods. The perfect gift idea for budding boaters and those with an interest in the Broads and its wildlife. 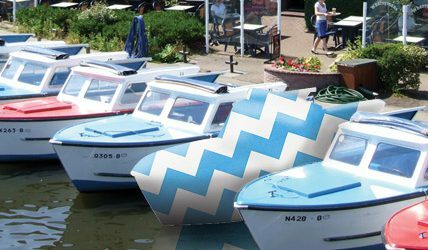 You can find further details of day boat hire on our day boats page. on 01603 782207 for further information or to purchase your voucher.